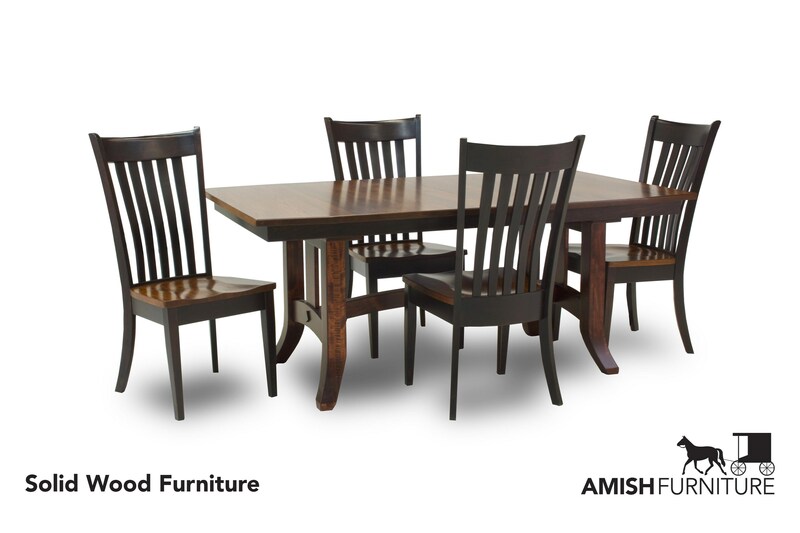 Shaker style meets Mission simplicity in this unique, tasteful Amish-made dining set. Shown in brown maple with a beautiful elm top; various finish options available, from simple stains to multi-step finishes. 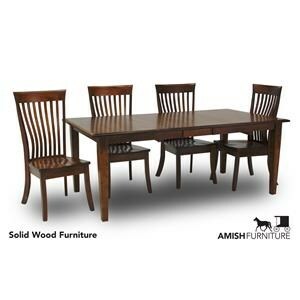 The Savannah 5 Piece Dining Set by Amish Impressions by Fusion Designs at Ruby Gordon Home in the Rochester, Henrietta, Greece, Monroe County, New York area. Product availability may vary. Contact us for the most current availability on this product.